31. 03. 2019 13:09 14 (1 - Ogier Sébastien / Ingrassia Julien): Not easy. I just wanted to finish. I knew I had no chance to do anything in the Power Stage so I didn't risk anything. 31. 03. 2019 10:44 13 (1 - Ogier Sébastien / Ingrassia Julien): Once again I have a different set-up and hopefully now I know what to do for the Power Stage. You can count on me to try. 30. 03. 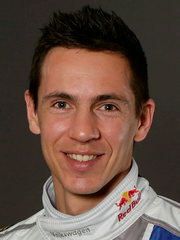 2019 18:15 12 (1 - Ogier Sébastien / Ingrassia Julien): I had an engine problem, no anti-lag for two or three kms. No anti-lag, then it came back suddenly and I nearly went off because I didn't expect to have the power. 30. 03. 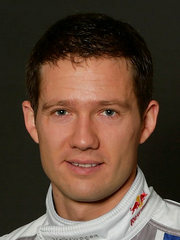 2019 17:03 11 (1 - Ogier Sébastien / Ingrassia Julien): The feeling is better but the times are not good. I cannot say it's a big improvement. 30. 03. 2019 15:08 10 (1 - Ogier Sébastien / Ingrassia Julien): A little bit better. We're making changes every service The feeling is getting better, at least in the right direction. 30. 03. 2019 11:12 9 (1 - Ogier Sébastien / Ingrassia Julien): I don't know how the guys behind will do but honestly I don't understand the time. My driving is not different to normal but the pace is not there. We need to find something. 30. 03. 2019 10:04 8 (1 - Ogier Sébastien / Ingrassia Julien): We have done some changes since yesterday but obviously we are not really getting faster. 30. 03. 2019 10:01 7 (1 - Ogier Sébastien / Ingrassia Julien): We made a lot of changes, and in that way it's a bit better but the speed is not there yet. 29. 03. 2019 18:50 6 (1 - Ogier Sébastien / Ingrassia Julien): I have to find a solution to make this car turning. The car is not turning and it has been a very difficult day. 29. 03. 2019 15:58 5 (1 - Ogier Sébastien / Ingrassia Julien): This car cannot be any faster at the moment. There is a lot of understeer and no way to be better. I'm not even sure we can do anything in service. 29. 03. 2019 15:54 4 (1 - Ogier Sébastien / Ingrassia Julien): Better than this morning but still not fantastic. 29. 03. 2019 11:01 3 (1 - Ogier Sébastien / Ingrassia Julien): Not the start we were hoping for. I have been struggling a lot with the car this morning. We made some changes and now it feels better. 29. 03. 2019 08:53 1 (1 - Ogier Sébastien / Ingrassia Julien): I spun in a hairpin and struggled to find reverse. I think the car is okay, there shouldn't be much damage.